The Northern Tier truck driver accused of striking and killing a New York State Department of Transportation employee last month in Tioga County, N.Y., has been charged with Criminally Negligent Homicide. 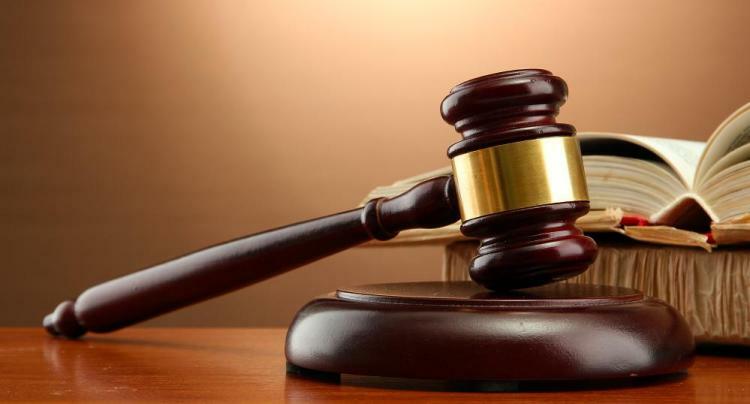 Lawrence E. Faucett, 37, of Ulster, Pa., pleaded not guilty on April 15 in Tioga County, N.Y., Court after an indictment was unsealed for the felony charge in the death of Dennis Matthew Howe, 45, of Owego. Faucett appeared in court with his attorney and was released on his own recognizance. Police said Faucett’s tractor-trailer struck a DOT vehicle parked on the side of state Route 17 on March 13, critically injuring Howe as he was working with a DOT crew doing roadside maintenance between Exit 63 (Lounsberry) and Exit 62 (Nichols). Howe was airlifted to Robert Packer Hospital in Sayre, where he died on March 18. Howe had been a DOT employee since 2006. State Police said Faucett failed to obey the state’s Move Over Law. He was initially ticketed for Moving from the Lane Unsafely and Failure to Obey the Move Over Law. Prosecutors had a choice of prosecuting Faucett for either Criminally Negligent Homicide or Manslaughter. Both charges are felonies but Criminally Negligent Homicide is an E felony (possible sentence 1-4 years) while Manslaughter in the Second degree is a higher C felony with a possible sentence of 7-15 years. With Manslaughter, the prosecution is required to prove that the defendant recklessly caused the death of another person. With Criminally Negligent Homicide, the legal standard is lower and the prosecution must only prove that the defendant was criminally negligent which includes conduct that was careless, reckless or inattentive. In this case, the prosecution could prove Faucett’s criminal negligence by showing his carelessness in violating the state’s Move Over law. If convicted of the charge, Faucett could be sentenced to up to four years in prison. However, state sentencing guidelines would allow for lesser penalties, including probation and no jail or prison time. The New York State Move Over Law requires cars to move over and slow down, if they can safely do so, for police, firefighters, ambulance workers, tow-truck drivers and other personnel as they work at crash scenes or on disabled vehicles. Motorists are similarly required to move over when construction and maintenance vehicles are stopped alongside roads – this includes New York State Department of Transportation vehicles that care for our highways. The law, first enacted in 2011, was expanded in July 2016 to include volunteer firefighter and ambulance workers. In November 2016, sanitation vehicles, such as garbage and recycling trucks, were also added. According to the New York State Department of Motor Vehicles, more than 100,000 people have been ticketed for failing to move over since 2011, including more than 12,000 in 2018. The penalty for violating the Move Over Law is a fine of up to $150, or jail time of up to 15 days, or both. It also counts for two points on a driver’s license. A second offense within 18 months of the first one could double the amount of the fine, pushing it up to $300. A third offense in 18 months could lead to a fine of up to $450. There are also steep state surcharges on moving violations: $88 or $93 upon conviction for violating New York’s Move Over Law, and there’s an impact on vehicle insurance: Studies confirm that being convicted of a moving violation can result in a rate increase of up to 20 percent, sometimes more. The Move Over Law is important – it protects vulnerable people who are forced to work at the edges of roadways where cars, trucks and tractor trailers are flying by mere feet away. Because the protected people are busy doing their job, they can’t pay as much attention to traffic as they would like. When people violate the move over law, the results can be tragic, and injuries are certain to be very serious because of the speed of the moving vehicles. Tragic Three-Vehicle Crash On Route 13 In Schuyler County: Was the Driver Texting? Thursday’s three-vehicle crash on State Route 13 in Schuyler County that killed a Steuben County woman and critically injured a Schuyler County man hits home for me – I commute to and from my Schuyler County home to Elmira office on Route 13 and I have handled several fatal crashes involving people traveling on Route 13. State Police and the Schuyler County Sheriff’s Department said Annette M. Osborn, 50, of Campbell, was killed when her southbound vehicle crossed the center line and struck two other vehicles about a mile and a half north of the intersection with State Route 224 in Alpine Junction. I hope Ms. Osborn was not texting when she crossed the road. I say that because I see many people texting while driving on Route 13. In fact, just last week my son had to swerve his motorcycle to avoid colliding with a texting driver who wandered into his lane. As part of their investigation, I expect the police will be obtaining the driver’s phone records in an effort to determine if she was texting. Police said at about 1 p.m. Thursday, Osborn’s vehicle struck the side of a car driven by Corrine B. Taylor, 25, of Elmira, and then struck a truck head-on that was being driven by Douglas M. Collins, 34, of Cayuta. Taylor was transported by ambulance to Cayuga Medical Center in Ithaca for treatment of minor injuries. Collins and a passenger, Brian L. McClean Jr., 22, of Cayuta, were transported to Robert Packer Hospital in Sayre, where they were each treated for several broken bones, police said. Collins was in critical condition Friday, police said, and McClean was treated and released on Thursday. Our thoughts today are with the family and friends of Ms. Osborn, Mr. McClean and Mr. Collins. A federal judge recently ripped a subsidiary of the nation’s largest insurance company for caring more about its bottom line than its patients’ health, and accused its medical directors of being deceptive under oath during a 10-day trial. This judge saw what I have seen countless times over my 33 year career representing the injured—insurance carriers worrying more about the bottom line then the people who paid their hard-earned money for coverage. Talk about kicking someone when they are down……. And the insurance carriers know damn well that most people don’t have the resources to fight back to obtain the coverage they so desperately need and simply suffer in silence. 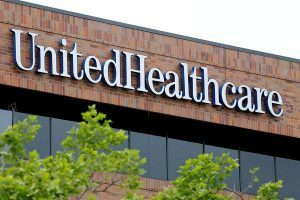 According to news reports, the federal court ruling came in a California class-action suit that says a claims administrator – United Behavioral Health (UBH), a unit of UnitedHealthcare – breached its fiduciary duty under the Employee Retirement Income Security Act of 1974 (ERISA) by using standards of care that were more restrictive than accepted care standards and improperly prioritizing savings. The California-based class-action suit represented more than 50,000 people who were denied coverage by United Behavioral Health, the country’s largest managed behavioral health care organization. 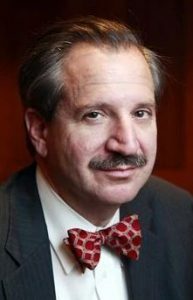 U.S. Chief Magistrate Judge Joseph Spero, who took more than a year to prepare his 106-page decision, also ruled that United Behavioral Health violated state laws in Illinois, Connecticut, Rhode Island and Texas. 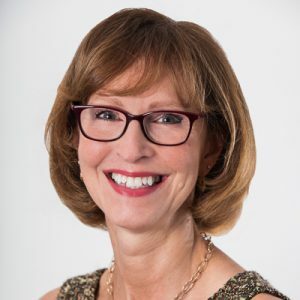 I hope the ruling makes behavioral health claims administrators and plan sponsors review their care guidelines more closely, as well as how they are applied. The judge said in the case of UBH, cost-cutting seemed to doom the development of appropriate guidelines. The judge saw what I have seen countless times over my 33-year career representing the injured – insurance carriers worrying more about the bottom line than the people who paid their hard-earned money for coverage. Talk about kicking someone when they are down. And the insurance carriers know damn well that most people don’t have the resources to fight back to obtain the coverage they so desperately need and simply suffer in silence. Judge Spero said the insurer illegally denied treatment to thousands of people. He said UBH adopted internal policies that discriminated against those seeking mental health and substance abuse treatment. The ruling was issued in the U.S. District Court for the Northern District of California. It will now move to a remedy phase, where the judge will determine how the insurer should be punished. “It is well-established that effective treatment of mental health and substance use disorders includes treatment aimed at preventing relapse or deterioration of the patient’s condition and maintaining the patient’s level of functioning. UBH Guidelines deviate from that standard,” Spero wrote. National mental health advocates said the decision is one of the most important rulings ever issued against an insurance company, at the federal level, on mental health issues. 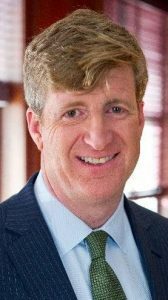 Patrick Kennedy, the former congressman from Rhode Island and an advocate for mental health issues, called the ruling “breathtaking” in its scope. For the mental health community, he compared it to the landmark 1954 Supreme Court decision that found racial segregation in public schools unconstitutional. The judge also attacked United Behavioral Health’s medical directors and other expert witnesses who established the company’s policies. In an unusual step, Spero criticized each witness, saying they were not credible, and rejected their testimony. The National Alliance on Mental Illness (NAMI), the nation’s largest advocacy group for the mentally ill, hailed the decision. 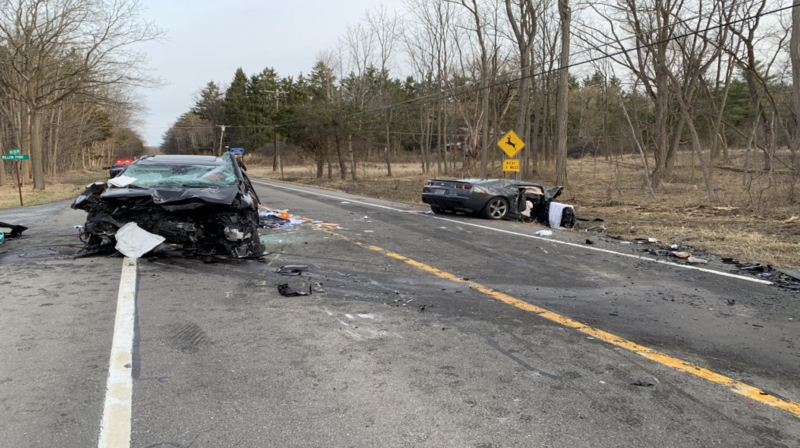 A Seneca Falls woman was killed and three others were hopsitalized Thursday afternoon in a three-vehicle crash on state Route 89 near Willow Point Road, northwest of Ithaca in Tompkins County. Several crash victims were trapped in their vehicles and rescued by emergency workers. State troopers told the news media that at about 3:20 p.m., a Chrysler Pacifica minivan, driven by Kathleen M. Cole, 53, of Seneca Falls, was traveling south on Route 89 when the vehicle crossed the centerline of the two-lane highway and struck a northbound Toyota Camry driven by Jennifer L. Myers, 57, of Trumansburg, and then struck a Chevrolet Camaro driven by Jonathan P. Hockenjos, 30, of Sayreville, N.J.
Marguerite Cole, 86, a passenger in the minivan, was pronounced dead at the scene. Kathleen Cole was flown to Upstate University Hospital in Syracuse, according to state troopers. Myers, the driver of the Camry, was not injured but Hockenjos and his 19-year-old passenger, Sabina R. Marra, 19, of New York City, were also flown to Upstate University Hospital. State police said the three victims were in surgery Friday and did not release any information about their conditions during the weekend. Three helicopters responded to the scene. Two landed at Taughannock Falls State Park and one landed at Cayuga Medical Center. New York State Police continue to investigate the crash but said the Chrysler Pacifica crossed into the other lane, causing the initial crash. The driver of the Camaro, in trying to avoid the minivan, moved into the southbound lane at the same time the minivan returned to the southbound lane and the vehicles collided head-on. Trumansburg Fire Department and Ambulance, Bangs Ambulance. and the Ithaca Fire Department also were working at the scene for several hours after the crash. Crashes occurring when a vehicle crosses over into the oncoming lane are some of the most dangerous that exist. The combined velocity of the two vehicles moving toward each other results in extreme high-energy collisions. Unfortunately, the proliferation of technology in vehicles and handheld electronic devices makes today’s drivers more distracted than ever before. It only takes an instant of inattention for a distracted driver to cross over the centerline, and the results can be deadly. Our thoughts are with all of the individuals and families affected by this terrible crash. The New York State Department of Transportation worker who was seriously injured on March 13 when his truck was hit by a tractor-trailer on state Route 17 in Tioga County, NY, died Monday. Police said the driver of the tractor-trailer failed to obey the state’s Move Over Law. The Tioga County, N.Y., Sheriff’s Office identified the DOT employee as 45-year-old Dennis Matthew Howe of Owego. He was airlifted on March 13 to Robert Packer Hospital in Sayre, where he died Monday. The Sheriff’s Office said a tractor-trailer driven by 37-year-old Lawrence Faucett of Ulster, PA, struck the state DOT truck in the westbound lane between Exit 63 (to Lounsberry) and Exit 62 (to Nichols). DOT employees were performing roadway maintenance when the truck was hit. Faucett was ticketed for Moving from the Lane Unsafely and Failure to Obey the Move Over Law. The investigation continues. A GoFundMe account has been established to help Howe’s family with medical expenses. As of the morning of March 20, it had raised more than $15,000. New York Gov. Andrew Cuomo ordered flags to be lowered to half-staff on all state government buildings in honor of Howe. Flags will be flown half-staff until Howe’s burial. Howe’s death is a tragic reminder of the dangers facing DOT workers face, Cuomo said. 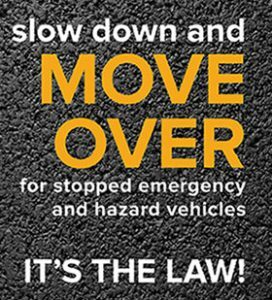 The NY Move Over Law requires cars to move over and slow down, if they can safely do so, for police, firefighters, ambulance workers, tow-truck drivers and other personnel as they work at crash scenes. Motorists are similarly required to move when construction and maintenance vehicles are stopped alongside roads – this includes New York State Department of Transportation vehicles who care for our highways. The Move Over Law is a common-sense solution to give the protected workers room to do their jobs, so move over, slow down, and make sure everyone goes home safe at the end of the day. A tractor-trailer driver is accused of violating New York State’s Move Over Law after police said his truck struck a New York State Department of Transportation vehicle, injuring a DOT employee, Wednesday morning in a work zone on State Route 17 in the town of Nichols in Tioga County, N.Y.
News reports said the DOT employee, who police said was seriously injured, was airlifted to Robert Packer Hospital in Sayre. Police did not identify the DOT employee or release any other information about the extent of the DOT employee’s injuries. The truck driver, Lawrence Faucett, 37, of Ulster, PA, was ticketed for Failure To Move Over and Moving From Lane Unsafely. The Tioga County, N.Y., Sheriff’s Office was assisted by the Owego Fire Department, New York State Police Commercial Vehicle Enforcement, New York State DOT, and Guthrie Air Medical. The NY Move Over Law requires cars to move over and slow down, if they can safely do so, for police, firefighters, ambulance workers, tow-truck drivers and other personnel as they work at crash scenes. Motorists are similarly required to move when construction and maintenance vehicles are stopped alongside roads – this includes NYS Department of TRansportation Vehicles who care for our highways. The Move Over Law is a common sense solution to give the protected workers room to do their jobs, so move over, slow down, and make sure everyone goes home safe at the end of the day. A new national study of pedestrian safety has reported just how unsafe it is to be a pedestrian in 2019. According to “Dangerous By Design 2019,” published by Smart Growth America, the number of people struck and killed while walking has increased by 35 percent in the last decade. I am handling many more pedestrian injury cases than ever, which I attribute to more people driving distracted. I often notice when I am stopped at red lights that drivers immediately grab their phones and are texting. They often start rolling forward as they are finishing texts and clearly aren’t paying attention to pedestrians who may still be crossing in front of them. The report says drivers struck and killed 49,340 people across the country who were walking on streets between 2008 and 2017. As the authors pointed out, that’s more than 13 people dying every day. One pedestrian dies every hour and 46 minutes every month. 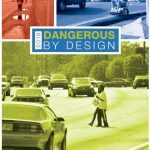 “Dangerous by Design 2019” reports that overall fatal traffic crashes fell slightly in 2017, but 2016 and 2017, the last two years for which there are data, were the most deadly years for walkers killed by drivers since 1990. The National Highway Traffic Safety Administration (NHTSA) said that 5,977 pedestrians were killed nationwide in 2017. In 2016, there were 5,987 pedestrians killed in traffic crashes, a 9 percent increase from the 5,495 pedestrian fatalities in 2016. This is the highest number of pedestrians killed in one year since 1990. Over a 10-year period starting in 2008, Florida appeared to be the most dangerous state for pedestrians, according to federal crash statistics. The Orlando-Kissimmee-Sanford area was the most dangerous in the country, with 656 fatalities in 10 years. Florida had eight of the top 10 most dangerous regions. In 2016, California led the nation in pedestrian fatalities with 867. Florida had the second-most with 652, while New York (304) and Pennsylvania (169) had far fewer fatalities. In 2016, pedestrian deaths accounted for 16 percent of all traffic fatalities. Twenty-six percent of pedestrian fatalities occurred from 6 to 8:59 p.m. in 2016. In 2016, one-fifth (20 percent) of the children 14 and younger killed in traffic crashes were pedestrians. More than two-thirds (70 percent) of the pedestrians killed in traffic crashes were men in 2016. Alcohol involvement — for the driver and/or the pedestrian — was reported in 48 percent of all fatal pedestrian crashes in 2016. In 2016, 90 percent of the pedestrians killed were killed in single-vehicle traffic crashes. One in five pedestrians killed in 2016 were struck in crashes that involved hit-and-run drivers. In New York State, from 2012 to 2016, pedestrian fatalities ranged from a high of 336 in 2013 to a low of 264 in 2014. In that same time period, injuries ranged from a high of 16,278 in 2013 to a low of 13,413 in 2015. In Pennsylvania, from 2013 to 2017, pedestrian fatalities ranged from a high of 172 in 2016 to a low of 150 in 2017. In crashes involving pedestrians from 2013 to 2017, the high was 4,375 crashes in 2013 and the lows were 4,001 in 2014 and 2015. My advice to drivers: Put the phone down, even at stop signs and red lights – it’s the law! Watch for pedestrians, runners, bicyclists, motorcyclists, skateboarders, and more. Pay attention to your surroundings at all times. My advice to pedestrians: Assume a motorist does not see you until you at least make eye contact. If you’re not sure that a driver will wait for you even after eye contact, signal the driver to be sure it is safe to cross. Never assume just because they see you that they will wait. Also, don’t be a distracted or drunk walker. Those are mistakes that can get you killed. Many of our vehicles are covered with ice and snow from our recent winter storm, and we are about to get hit with more over the next two days. If we don’t remove that snow and ice before hitting the road it will take to the air, often hitting other vehicles or pedestrians. It’s bad enough when it’s just snow, but given all of the ice we endured recently, it makes those flying snow piles even potentially deadlier weapons. A Syracuse-area man driving on Interstate 690 said this week that snow and ice that flew off the top of a tractor-trailer smashed the passenger side of his windshield. He was able to pull over safely, but not everyone is that lucky. “The only way I could describe it is when I saw it, it looked like a giant kite, and it kind of just hung there in the air,” Scott Johnson told the news media. A body shop in Syracuse told the news media it had received at least 60 calls for broken windshields just in one day. One good rule of thumb when traveling among trucks this time of year: slow down and give them a lot of room, because you never know when snow and ice will be sent flying, especially as the weather warms up. Also, check your insurance policy and be sure it covers repairs for a shattered windshield. “What happens quite often is that you’re not aware of who the other person is, whether they’re passing you, you’re passing them, and again, that person may not know that ice came from their vehicle,” said Trooper Jack Keller of the New York State Police. 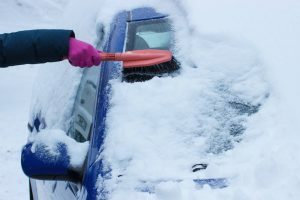 To protect other motorists – and spare yourself a possible lawsuit if snow and ice off your vehicle causes a crash or damage – consider buying a push broom or snow rake for the top of your vehicle. In addition to the threat of shattering another driver’s windshield, snow and ice flying off your vehicle can reduce visibility for other drivers and lead to a crash. According to AAA, in a 2009 survey, 54 percent of motorists said they never or rarely remove accumulated snow and ice from their vehicles. 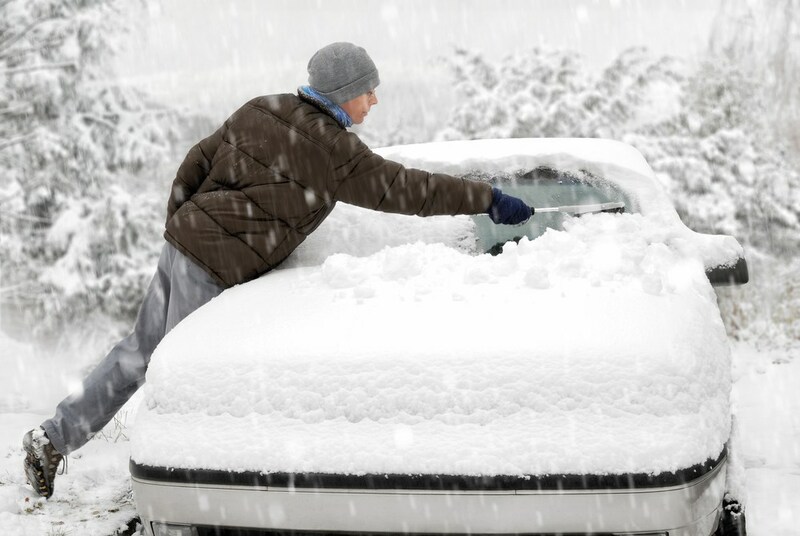 New York and Pennsylvania both have laws regarding the removal of snow and ice from vehicles. In New York, drivers with more than three inches of snow on their roof or cargo area more than three hours after a storm could face $150 to $850 in fines. No matter where you are, if snow and ice from your vehicle flies off and causes a crash, you could be held responsible for it. Be a responsible and safe motorist and be sure to remove the snow and ice on your vehicle before turning the key. It’s been a dangerous and tragic winter for snowmobilers in New York State. According to news reports, at least 10 people have died this winter in snowmobiling crashes. In the Twin Tiers, the husband of a woman killed on Jan. 21 in a snowmobiling crash is facing multiple felony charges in her death. David A. Gee, 45, of Addison, has been charged with second-degree vehicular manslaughter, driving while intoxicated, and aggravated driving while intoxicated, as well as a misdemeanor charge of operating a snowmobile while intoxicated. The Jan. 21 crash, on state Route 417 in the town of Tuscarora, killed Gee’s wife, Billie Jo McIlwain-Gee, who was a passenger. Police said they were not wearing helmets when David Gee entered Route 417 from private property and struck a Chevrolet Astro Van. McIlwain-Gee was pronounced dead at Guthrie Corning Hospital in East Corning. Police said David Gee failed to yield the right of way to the van. Under NY law, any snowmobile crossing a road must first come to a complete stop before crossing and is also required to yield the right of way to any vehicle on the roadway. The fatal Addison snowmobile crash has two of the most dangerous combinations, according to police: alcohol and no helmets. 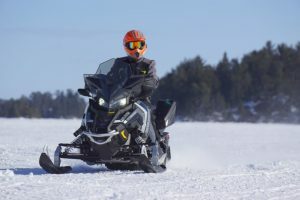 NY law requires all drivers and passengers on a snowmobile to wear a helmet and NY law prohibits the operation of a snowmobile while intoxicated. Both of these are good common-sense laws. 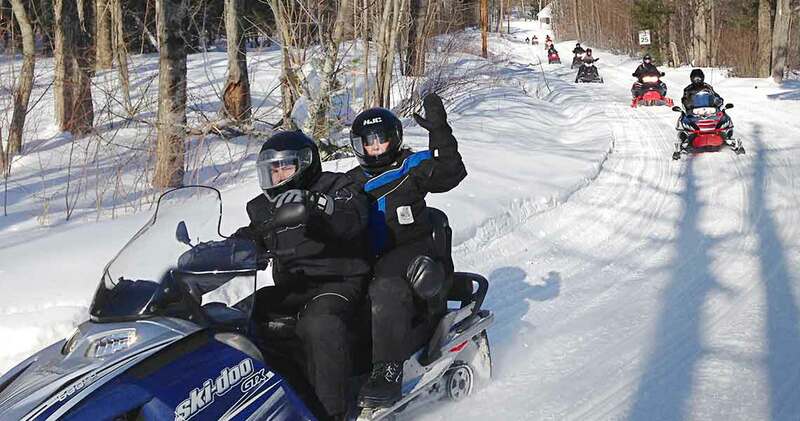 I think another common-sense law should be a state-approved snowmobile safety course for all operators but currently the law only requires a safety course for operators between the ages of 10 and 18. 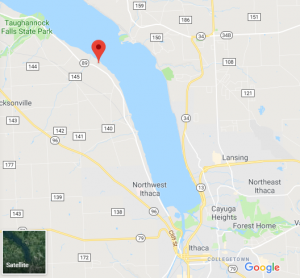 Feb. 1, Herkimer County: A 56-year-old Stony Point man, stepped off his snowmobile and was struck and killed by another operator. Jan. 26, Fulton County: A 27-year-old snowmobiler was found dead near his snowmobile. The investigation continues. Jan. 18, Oneida County: A 45-year-old Boonville man was killed when he struck a tree and was thrown from his snowmobile. Jan. 18, Fulton County: A Dutchess County man hit a fracture in the ice on Great Sacandaga Lake and was killed when he was ejected. Police said speed, lack of visibility, and inexperience were factors. Jan. 13, Herkimer County: A 45-year-old Clay woman lost control of her snowmobile and was killed when she struck a tree and was ejected. Speed was a factor, police said. Dec. 9, Herkimer County: An 18-year-old Adams man was killed when his snowmobile hit a ditch and then a tree. Dec. 7, Herkimer County: A 23-year-old man from Somerset, N.J., was killed when he lost control of the snowmobile and was thrown down a steep embankment. Speed was a factor, police said. Dec. 7, Hamilton County: A 46-year-old Yates County man was killed when he lost control of his snowmobile on a curve and struck a tree. Speed was a factor, police said. Do preventive maintenance: Make sure your snowmobile is in proper working order before each ride. Follow the guidelines in your owner’s manual and ask your local snowmobile organization about any safety or maintenance programs it may offer. The Safe Riders! Snowmobile Awareness Safety Program, which ISMA sponsors, offers a pre-ride checklist to help you get started. Wear proper attire: Be prepared for changing weather conditions by dressing in layers, with windproof gear on the outside. You can remove or add layers as needed. In addition, wear warm gloves and help protect your head and your vision with a safety-certified helmet, sun protection goggles and a visor. Bring a friend: Use the buddy system. You never know when it may prove helpful to have another person with you out on the trails. Follow the rules of the road: Use caution when crossing any road. Coming to a complete stop, ensuring no vehicles are coming from any direction and crossing at a right angle may help you travel safely. Communicate carefully: It’s a good idea to clearly communicate your plans to others. That includes leaving your planned route with friends or relatives before you head out so they can send for help if you don’t return on schedule. And, once you’re on the trails, be sure to use hand signals to communicate with other nearby snowmobilers and drivers. Remain alert: Keep your eyes on the vehicle ahead of you rather than on its taillights. When you watch the taillights, you’re less likely to notice if the snowmobiler in front of you swerves a bit to avoid hitting something. Also, if it’s dark or overcast, be sure to drive slowly enough to see what your headlights reveal. Avoid frozen water: Don’t ride your snowmobile over a frozen lake or river. You may risk falling through the ice or having much less traction that you do on snow. In addition, if other snowmobilers enter the ice from another direction, collisions may result. Learn more about riding in New York and Pennsylvania. You can also review the state laws: NY snowmobiles and PA snowmobiles. Gov. Andrew Cuomo’s proposed ban on remanufactured limousines – like the one in October’s fatal crash in Schoharie County that killed 20 people – would be a good step toward ensuring safer limo experiences across New York State. Many Twin Tiers residents use them for weddings, proms, and Wine Country tours, among other occasions, so it’s time to stop their use for now and consider if we they can be made safer. Of course, in Albany, the lobbyists – limo industry trade groups – are putting pressure on state lawmakers to oppose the ban, which claims it is already struggling with high taxes and competition from ride-share companies like Uber and Lyft. 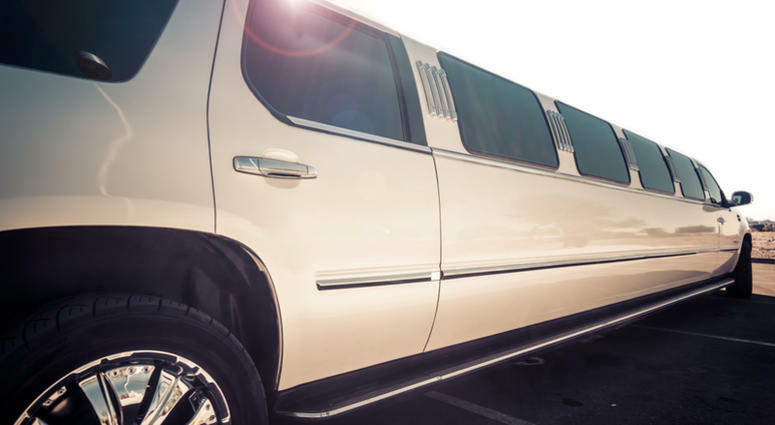 Cuomo is proposing a good look at the limo industry, but there are plenty of other limo and bus choices beyond the remanufactured or stretch limos. Many of the stretch limos are remanufactured professionally and safer than the ones remade inexpensively at the garage down the street. The limo involved in the deadly Oct. 6 crash is accused of circumventing state Department of Transportation inspections and oversight. When limo company owners stretch the body, do they take into account the other systems, like the brakes, that likely need to be enhanced for the heavier load? One of the most important parts of Cuomo’s proposal is ending the seat-belt exception for limos, buses, taxis, and other multi-person vehicles, including school buses. I wouldn’t get into a stretch limo with 15 other people unless we all had seat belts available. Make it a felony for any owner/operator to tamper with a Federal Motor Vehicle Safety Standard tag or vehicle inspection sticker, or remove an “out of service” sticker placed by a DOT inspector from a vehicle without having the vehicle re-inspected and cleared by DOT to return to service. Create new criminal penalties for any DMV-regulated inspection station that illegally issues an inspection sticker. Require mandatory reporting by inspection stations to DMV if a vehicle attempts an unauthorized inspection. 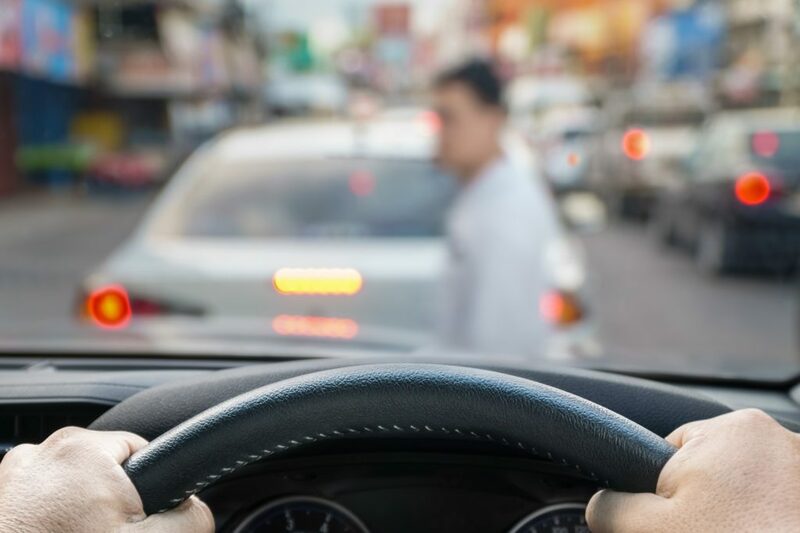 Increase the civil penalty to a maximum fine of $25,000 per violation for any person found operating with suspended DOT “operating authority” or operating a vehicle without such authority. Prohibit U-turns for larger vehicles on all roads within the state. Subject multiple violators to the potential for civil forfeiture of vehicle. Cuomo also wants to require drivers to hold a Commercial Driver’s License (CDL) with a special passenger endorsement to operate a for-hire vehicle with eight or more passengers so the drivers would hopefully receive more training and would be more closely regulated. Some limo company owners are urging state lawmakers to better enforce the existing laws and not ban stretch limos. Other limo company owners have said bad owners are dragging down the owners who obey the state laws already in place. Some support monthly inspections and tighter regulations, but not an outright ban. The president of the Limousine, Bus, Taxi Operators of Upstate New York, Kevin Barwell, said he’s not sure a ban will resolve the problems with stretch limos. 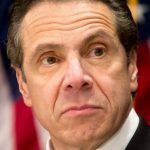 Cuomo, however, said the deadly October crash was a shock to the state and it needs to act.